So let’s look at two belief systems that often clash with each other. The Premillennial/Futurist view refers to the millennial reign of Christ that takes place in the future after a great tribulation (Christ’s kingdom comes in the future). The Postmillennial/Preterist view states the reign of Christ has begun and the apocalyptic events of the last days of the Old Covenant were experienced in Jerusalem in 70 A.D (Christ’s kingdom is here now). Premillennial / Futurist View They follow the Biblical pattern of fulfilled prophecy which had a partial immediate fulfillment yet will have a secondary ultimate fulfillment centuries later. Postmillennial / Preterist View They follow the Biblical pattern of fulfilled prophecy. Jesus was speaking only to His generation. Historical records back it up. Premillennial / Futurist View They believe the world gets worse, the Church gets persecuted more, and then Jesus comes back. Postmillennial / Preterist View They believe the Church advances the Gospel to all nations more, and then Jesus comes back. Premillennial / Futurist View They are comforted knowing the Bible is validated by so many prophetic current events happening right in front of them in the News. Postmillennial / Preterist View They are comforted knowing the Bible is validated despite the sensationalism of the News; the actual data shows the Church is advancing. Premillennial / Futurist View They see the other guys as pie-in-the-sky idealists refusing to acknowledge the bad news. Postmillennial / Preterist View They see the other guys as insecure, fear-based humans only acknowledging the bad news. Premillennial / Futurist View The other guys sound like Israel refusing to listen to their prophets’ warning about impending doom by discounting the signs as silly or impossible. Postmillennial / Preterist View The other guys have predicted the end of the world in every generation for the last two thousand years without ever acknowledging their errors. Premillennial / Futurist View The sense of the time being short and imminent judgment motivates believers to repent and spread the Gospel with missionary zeal. Postmillennial / Preterist View The sense of destiny to take the nations with the Gospel motivates believers to take dominion in every sphere of life with missionary zeal. Premillennial / Futurist View They believe we need to prepare the Church for the terrible times about to take place on planet earth to test every believer. Postmillennial / Preterist View They believe it doesn’t take faith to watch things get worse; things do that all by themselves. Advancing the Kingdom of God takes faith. Premillennial / Futurist View They use today’s New York Times to confirm their interpretation of the Bible. Postmillennial and Preterist View They use the Jerusalem Times of 70 A.D. to confirm their interpretation of the Bible. 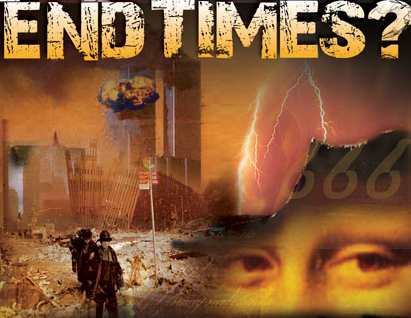 Premillennial / Futurist View They believe an antichrist will appear in the last days, during a one world government to declare himself as God before Jesus comes to set up His kingdom for thousand years. Postmillennial / Preterist View They believe John identified Nero Caesar as the antichrist who appeared in the last days of the Old Covenant and declared himself as God as Jesus set up His kingdom forever. Premillennial / Futurist View They believe that despite the Antichrist, the persecution and the Tribulation, Jesus returns and defeats all His enemies and wins in the end. Postmillennial / Preterist View They believe that despite the antichrist spirit, the persecutions and the tribulations, Christ’s enemies are made His footstool and He wins in the end. As you can see there are real reasons why different Christians believe what they believe. Is there be a place to meet in the middle or can there be a synthesis of the two points of view? I think there are strengths and weakness in both points of view. Let us loving work together to find common ground without demonizing the other guys. That way we will fulfill Ephesians 4 and “grow up into all things into Him who is the Head – Christ”. *For those who were brought up listening to Hal Lindsey, Jack Van Impe, Tim Lahaye, Ed Hinson, Irwin Baxter, John Hagee, Grant Jeffery, or Perry Stone you may want to read some books from guys on the other side. Here are a few suggestions. The Last Days According to Jesus by R.C. Sproul, Victorious Eschatology by Harold Eberle and Martin Trench, Before Jerusalem Fell by Kenneth Gentry, Days of Vengeance by David Chilton, Unraveling the End by John Noe and Revelation for Everyone by N.T. Wright. Posted in Most Popular Articles and tagged AntiChrist, End Times, Futurist, Jeffrey B Krall, Postmillenial, Premillennial, Preterist, Tribulation on March 26, 2015 by Jeff Krall.